There are several different types of driving lessons in London to choose from and finding the right driving course for your learning style is extremely important. When learning to drive in London, you want to pick a course type that is built around your lifestyle and individual needs and finding the right driving instructor in London is crucial to this. In order to feel comfortable during your driving lesson, you’ll need an instructor who knows the London area well, someone who is professional and capable of creating a driving lessons that is tailored specifically to your level of experience. Booking a driving lesson in London is easy to do and we have reviewed the major course types to help you find the right driving course in London for you. Due to the number of competing London driving schools, it is possible to find cheap driving lessons in London, if you know what to do and where to look. The key to finding cheap driving lessons in London is to look for the best introductory deal and effectively play one local driving instructor of another. Driving instructors in London offer great deals to first time learners and looking for the best introductory deal in your area is the first step to finding cheap driving lesson in London. Once you’ve located a few driving schools in your area that offer introductory deals, ring the school and enquire whether they are willing to beat the introductory offer of a rival school in the location and In most cases the driving school will oblige. Shopping around for deals and not being afraid to haggle or negotiate, are important if want to find cheap driving lessons in London. Another great way of finding affordable driving lessons in London is to block book your driving lessons where possible. London driving instructors will be happy to offer you cheaper driving lessons if you are able to book a number of lessons at a time. There are a few other tips that you can use to save money on your driving lessons and and for more information on how to do so, read our expert written guide; How To find Cheap Driving Lessons. When learning to drive in London, you have a range of driving courses to choose from, as well as a choice of what car transmission you would like to learn in too. Along with learning in a manual car, you can also chose to learn in an automatic car and there are several reasons why individuals opt for automatic driving lessons in London. Automatic cars reduce the time spent learning how to co-ordinate the vehicle, making the lessons less complex and much easier to grasp. Individuals who learn in an automatic car also require far fewer lessons to reach test standard and because of these benefits, automatic driving lessons in London are proving to be a very popular and cost effective way of learning to drive. The stop start nature of roads in London also make automatic driving lessons an attractive proposition. With many inner city roads in London being incredibly busy, automatic driving lessons reduce the strain on both feet as there is no need to operate the clutch pedal, making the lesson much smoother and the learner’s driving experience a more pleasurable one. Automatic driving lessons in London can also can also make for a more fuel efficient lesson as there’s less chance of the learner revving the car unnecessarily or driving in an inefficient manner. There are several other benefits to automatic driving lessons and it’s easy to see why more people are choosing to learn to drive in an automatic car in London. If money and time are no issue, an intensive driving course in London is an excellent way of learning to drive. Intensive driving lessons in London consist of up to 6 hours tuition and the aim of the lesson is to cover as much of the driving syllabus as possible within each lesson. Learner drivers can expect to take a practical driving test at the end of their intensive driving course and it’s a good idea to book your lessons in close proximity to your driving test centre of choice. An Intensive driving course in London has a number of benefits and they’re a great driving course for individuals who need to pass their driving test in a short period of time. 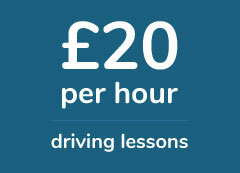 intensive driving courses in London are designed for learner drivers of all experience levels. With the right driving instructor, it’s possible to go from complete novice, to test standard in no time at all and being able to practice intensely for a number of days, then finishing with a driving test at the end of the course, make this a very popular driving course for any Londoners looking to pass their driving test in a short period of time. If you are already at test standard and have a driving test on the horizon, whether you’re taking it for the first time or not, a driving crash course in London is a great way to prepare for the examination. Driving crash courses in London can last anywhere from a day to a week and they are usually taken by partly trained drivers, who require a few extra hours tuition to brush up on their driving skills right before their practical driving test. Although they tend to be taken by partly trained drivers, anyone irrespective of their experience can take a driving crash course in London and the number of hours needed, will correspond with the individual’s level of experience. If you have recently failed a test and there are specific errors in your driving that need to correct, a driving crash course in London will allow you to work on these issues and this should get you ready to take and pass your practical driving test at your next opportunity. A driving crash course in the London, especially when taken along any of your potential test routes will help you not only familiarise yourself with the roads in and around vicinity of your test centre, but also iron out any lingering issues that you could be still struggling with. If you have already passed your driving test, but for some reason don’t feel completely confident when behind the wheel, a refresher driving lesson in London might be the perfect course to help you feel more assured while in the driver’s seat. There are an increasing amount of license holders – both active and non- active drivers – who choose to take refresher driving lessons in London. This particular course will improve your confidence by correcting any underlying issues you have with your driving, as the lesson is focused on specific road situations that you currently struggle with. Booking a refresher driving lessons in London is relatively easy. Many driving instructors in the capital offer the course and traditionally it consists of 6 hours intensive driving tuition, that can be completed anywhere between a day and a week, depending on how busy your schedule is. We have partnered with driving instructors all across the capital to help you find driving lessons in your local area.